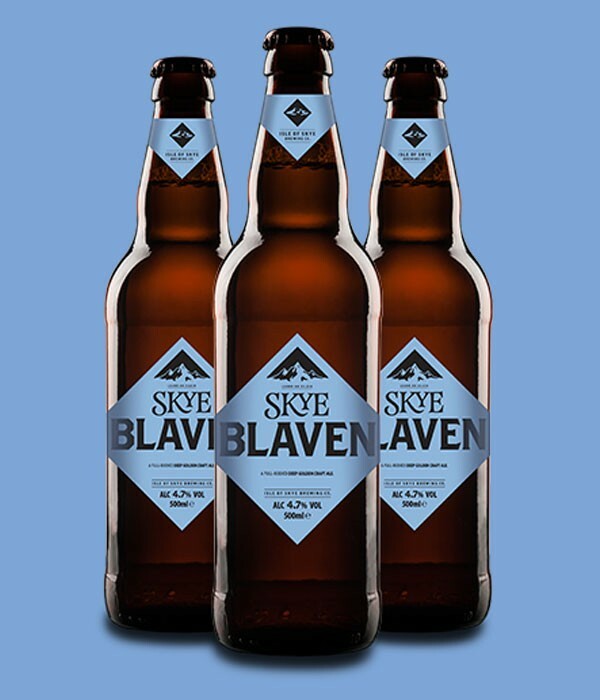 Skye Blaven | Isle of Skye Brewing Co. The ale started out in 1996 as a winter-only brew. However, the rich malty character and well-balanced hop aroma proved so popular, we decided to make it available all year round. Creamy, full-bodied and smooth, Blaven is also somewhat deceptive – the strongest of our regular ales. Blaven is bottled at 4.7% ABV, but available on tap at 5% ABV. Bla Bheinn – or Blaven - is a nearby mountain to the brewery. It’s known as the blue mountain or ‘sweet’ mountain.